Things have been busy around here since we had prayer week last week at church, and we finally finished season 4 of Alias. If you ever decide to pick up DVDs of TV shows when there are no movies out worth watching...just make sure you have lots of time. We always end up getting sucked in. I would have been fine where it ended--if I hadn't watched the last minute. These photos are a month or so old. 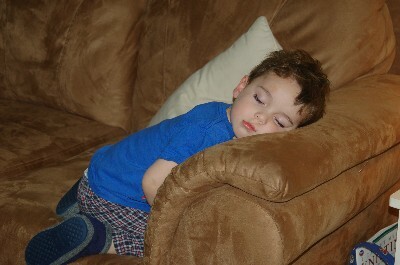 The first one was one day when Jonathan decided not to take a nap. He fell asleep so early. 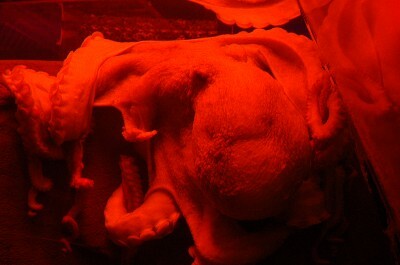 The second photo is the octopus at the Georgia Aquarium. The lady there said sometimes there was an hour wait to see the octopus. It's ok, but I don't know if I'd wait an hour! Today Jonathan piled his little animals up and he wanted me to cover him up with his Thomas blanket. The next thing I knew, he was snoring. He also spent probably 30 minutes standing on a stool in front of the toilet half naked. He said he wanted to pee pee. He did a little when I first left the room, then I came back in and he told me to go away. He stood there forever trying to go again. It took me a while to talk him into putting a diaper back on. That's life with a 2 year old--never dull!